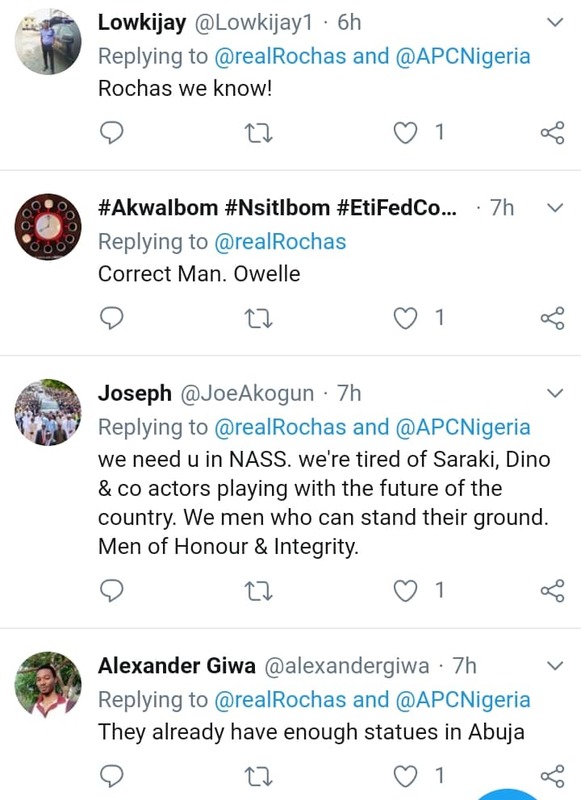 Governor Rochas Okorocha shared this video from his Senatorial campaign in Imo State. 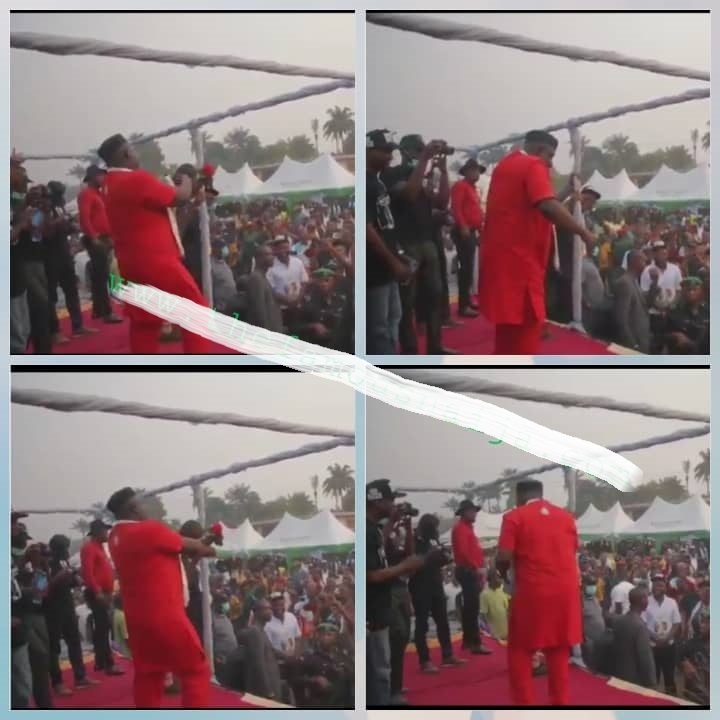 The governor was seen in a joyful mood as he danced ‘Shaku shaku’ to the delight of the crowd at the campaign venue. 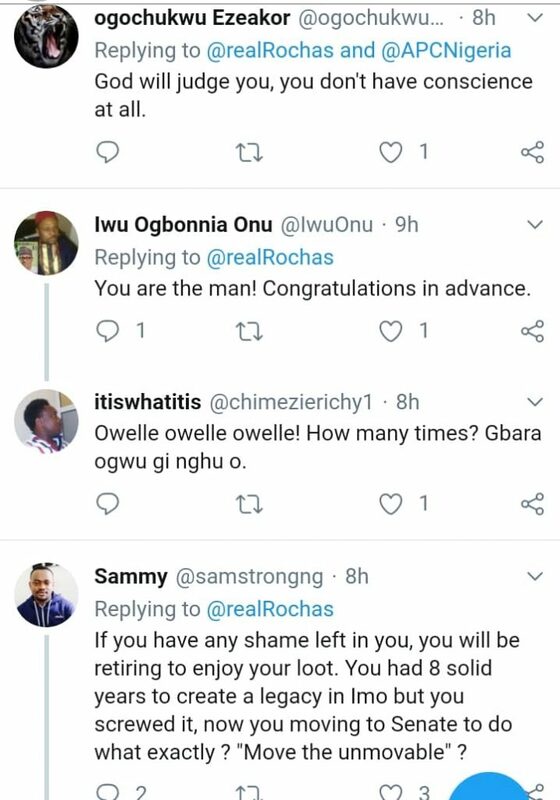 “My people are saying to me, ‘Rochas, carry go! 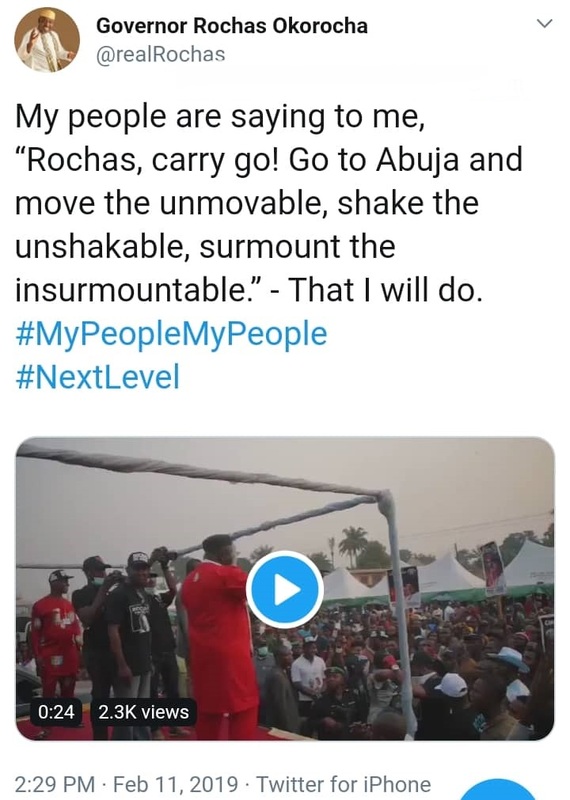 Go to Abuja and move the unmovable, shake the unshakable, surmount the insurmountable.’ – That I will do.